For my birthday last year I was treated to dinner at Mitch Tonks’ The Seahorse in Dartmouth. The restaurant is small, intimate and very grown up. We loved it. The freshest fish and shellfish are cooked over charcoal, and the whole grilled monkfish tail we shared was a dish that stayed in my memory for weeks afterwards. 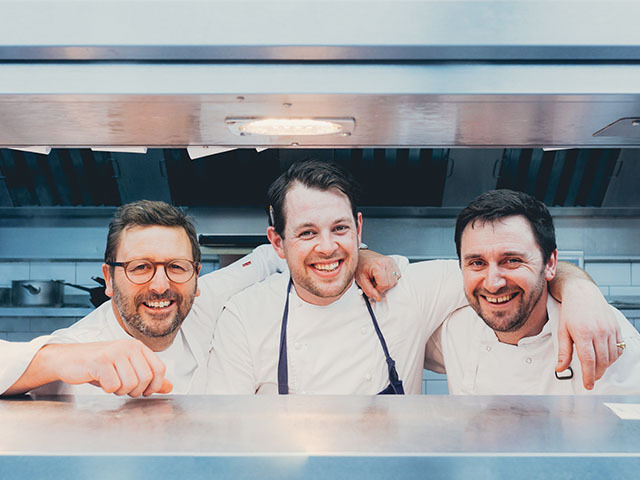 Imagine my delight (I actually whooped) when The Idle Rocks invited me to experience a collaborative dinner between their head chef Guy Owen (above, centre) and The Seahorse’s Mitch Tonks (above, left) and Mat Prowse (above, right). It was a wild and stormy evening when we arrived in St Mawes. We ran from the car and arrived, slightly disheveled, at The Idle Rocks, where we were shown to a table in the sitting room. The Idle Rocks is perched right on the edge of the harbour, with gorgeous views over the water. 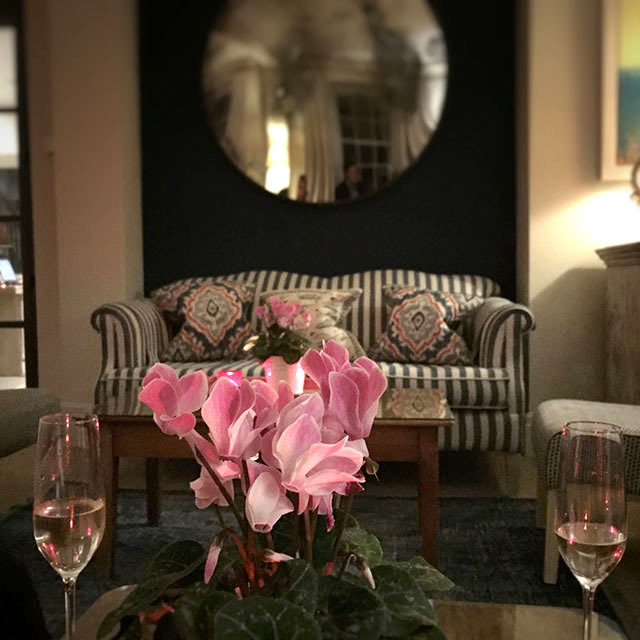 In the comfortable sitting room we quickly warmed up next to the fire, and settled down with a drink, the clinking of glasses and buzz of anticipation enhancing the relaxed atmosphere. 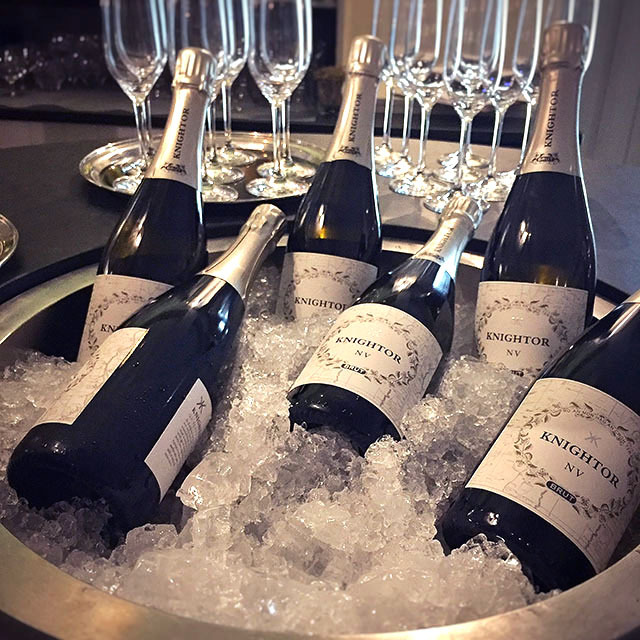 Our dining companions arrived, and the fizz was poured: a fresh, crisp, sparkling white from Knightor, a winery based near the Eden Project. Next we were shown to our table and, in due course, an array of antipasti was laid in front of us. The baccala fritto (fried salt cod) had a soft, spongey batter, the fish inside was succulent, and the sprinkling of Parmesan finished it off perfectly. The bread rolls were just out of the oven. I chose a mini seeded brioche, warm, soft and sweet. We tucked in to the wafer thin slices of salmon, cured with maple and pink pepper. 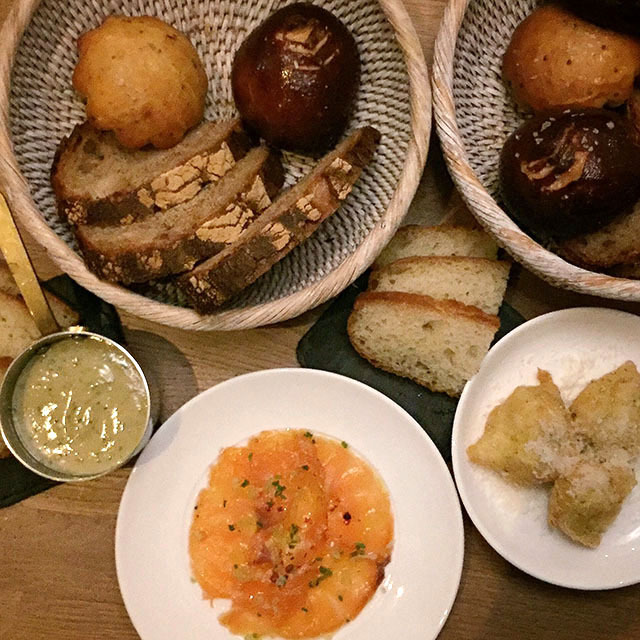 Slices of gorgeously oily focaccia were served alongside little pans of anchoide, a sort of anchovy mayonnaise: sharp and salty; creamy and moreish. 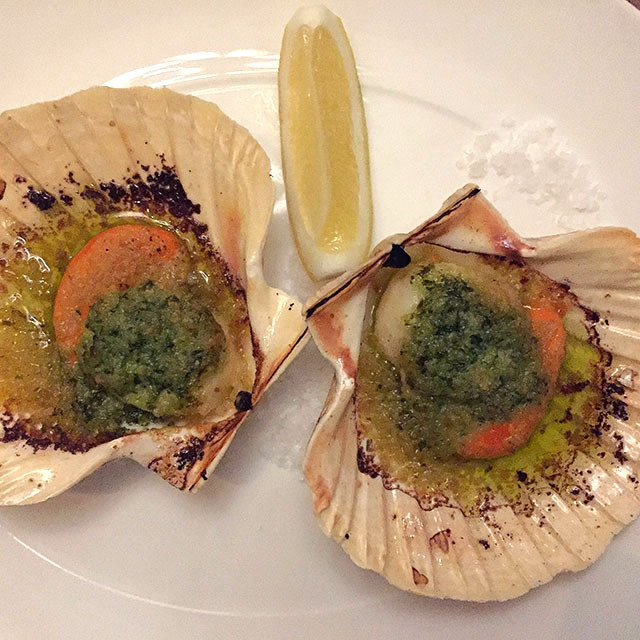 The first course was a perfect pair of huge, juicy scallops, served simply in their shells with a wedge of lemon. They were roasted with white port and garlic and topped with breadcrumbs and a super-garlicky parsley butter. Thoroughly delicious and, we concurred, remarkably hot. The scallops were accompanied by Journey’s End chardonnay, the acidity providing a good balance to the buttery richness. A large plate of spaghetti con frutti di mare (seafood spaghetti) was served family style for the pasta course. I wish I could cook spaghetti like this. 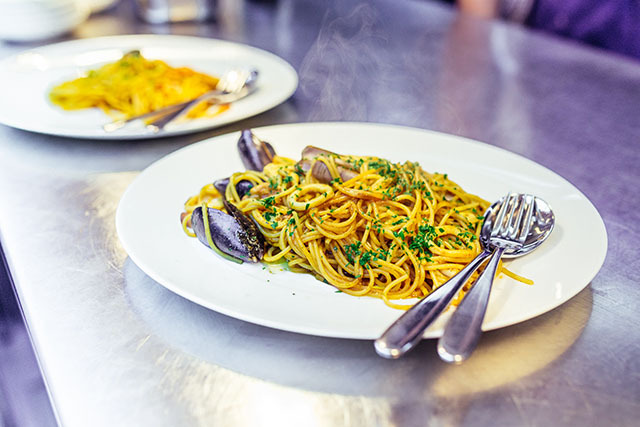 It had such a depth of flavour, with heaps of saffron and garlic in the tomato sauce, plus generous quantities of squid, mussels and razor clams. With this we enjoyed an Italian wine, Terre di Vulcano Falanghina which, we learnt, was made from grapes that grow on volcanic soil. Next, the hugely anticipated monkfish, roasted over coals and served with fennel gratin, white beans and rosemary. It didn’t disappoint. Mitch popped over to chat to us several times during the evening, so we asked him for some tips on cooking monkfish like this at home. Firstly you need a very hot oven; The Idle Rocks has a Josper charcoal oven which can reach temperatures of up to 500°C. The monkfish should be lightly marinated in olive oil, white wine, salt, breadcrumbs and herbs (fennel seeds, dried savory, thyme and oregano) before being quickly roasted. The resultant fish is charred and seared on the outside, succulent and meaty on the inside, with the most incredible flavour from the charcoal, garlic and herbs. The Little Eden Pinot Noir which accompanied the monkfish was smooth and fruity, not overpowering, and once again a great choice from the sommelier. The palate cleansing pre-dessert was a zingy little sgroppino. It was ice cold and creamy, with the texture of a smoothie, a properly lemony kick, and tasted like a cold, alcoholic version of the filling of a lemon tart. To recreate this at home, I’d suggest whizzing up a scoopful of good quality lemon ice cream, along with a slosh of prosecco and a dash of vodka to taste. Surely that’s what Nutribullets were invented for? 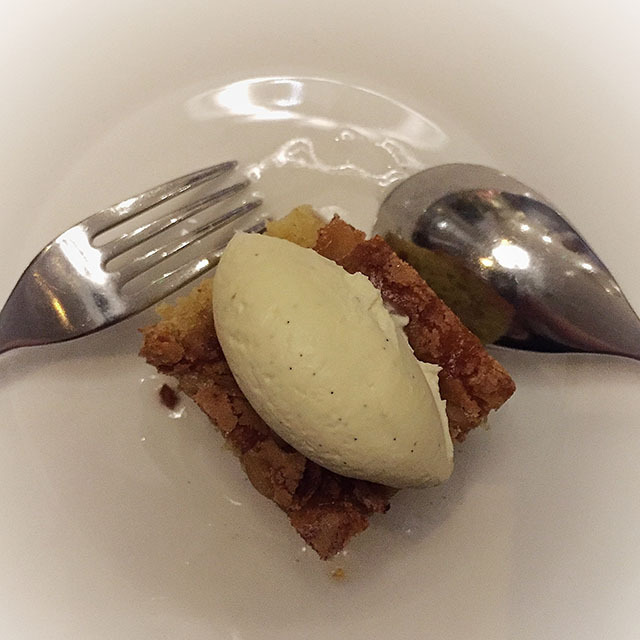 At this point we were getting rather full, so the dessert of olive oil cake with grappa was slightly daunting. But it was moist and damp (in a good way) and a lot lighter than it looked. 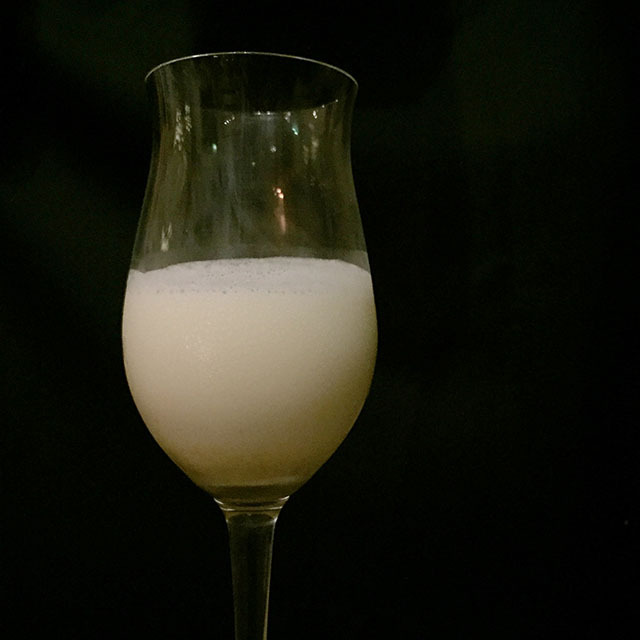 A little bit boozy (a brandy and grappa combo) and flavoured with orange and pine nuts, the cake was topped with a quenelle of mascarpone cream and drizzled with grappa syrup. The accompanying sweet, slightly sparkling Moscato d’Asti was a stroke of genius. The meal went by in a flash. Everything we ate and drank was delicious, and we relished meeting and chatting to the chefs. You could tell that the kitchen team had enjoyed the experience; they were positively buzzing by the end of the evening. Huge thanks to David and Karen Richards, Jo Di Carlo and The Idle Rocks team for their hospitality and for creating such a memorable evening. Thank you to Lewis Harrison-Pinder for the use of his fantastic (rectangular) photos. All square photos are mine. 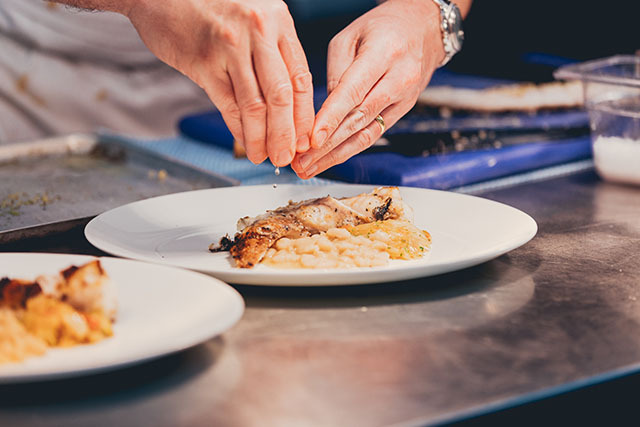 The next collaborative dinner is with Fifteen Cornwall and takes place on Saturday 12 March. 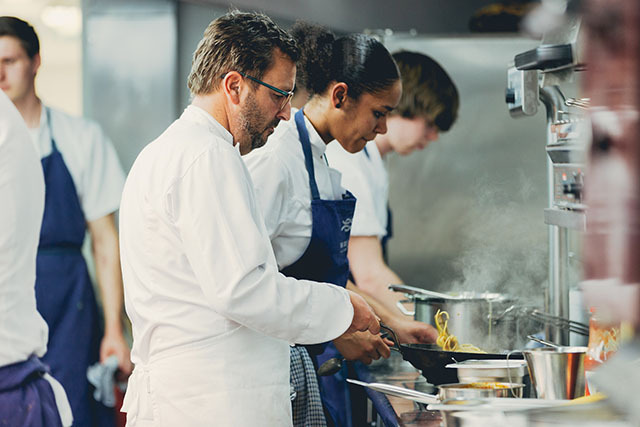 All profits from the dinner will go to the Fifteen Cornwall Apprentice Programme, which is particularly meaningful for The Idle Rocks’ Matthew Macdonald, a previous Fifteen Apprentice. 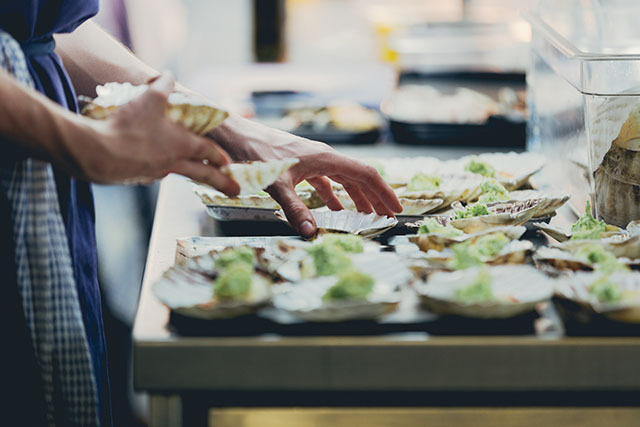 The five course menu includes a glass of fizz and canapés; shellfish with parsley, lemon and bisque; agnolotti of short rib with a lobster ragu; pork with red onion, apple, bitter leaves and girolles; Amedei hot chocolate, blood orange semi freddo and pistachio or a cheese board; and coffee and petit fours. 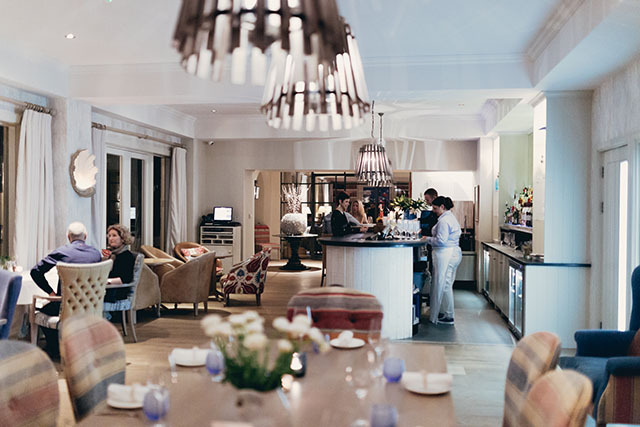 It is priced at £75 per person, with optional wine flight for £35 per person. Rooms are available, from £200 per night for two, including breakfast. For full details see idlerocks.com/eat/fifteen and phone 01326 270270 or email [email protected] to book.